Norris Professor of Law at Fordham University Law School and former Dean of the law school, John D. Ferrick has devoted his life to three things: the law, Fordham, and bringing an end to violence in Northern Ireland. 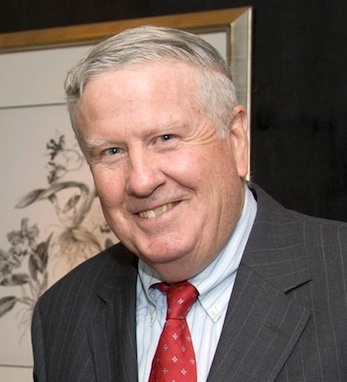 The son of immigrants from County Mayo, Ferrick earned his Bachelor of Science degree from Fordham in 1958 and his LL.B in law from Fordham in 1961. In 1976, he returned to Fordham as an adjunct professor, becoming a full-time professor in 1982. That same year he was named Dean of the law school, a position he held until 2002. Ferrick is an expert on the 25th Amendment and Electoral College, alternative dispute resolution, mediation and arbitration, constitutional law and labor and employment law.